The Wrens’ tongue-in-cheek tagline, “Keeping folks waiting since 1989,” pretty much sums up the band’s career. With only three full-length records in its 20-year life span, the New Jersey band is known for taking its carefully calculated time. With no break-ups or official hiatuses to blame, this gradual output has more to do with record-label bureaucracy than artistic stubbornness. 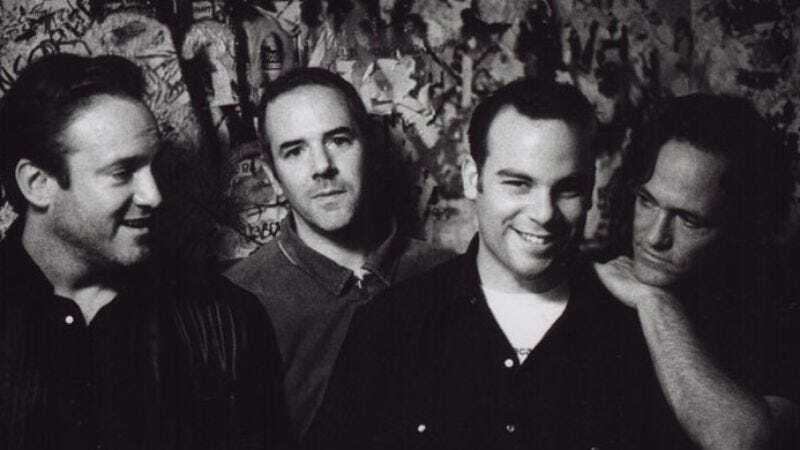 After releasing the 1996 sophomore hit Secaucus, the band refused to sign a hefty contract that would have locked it in with Grass Records (later Wind-Up Records)—the label responsible for forcing the likes of Creed upon the world—before spending seven years working on 2003’s The Meadowlands. The Wrens’ guitarist/vocalist Charles Bissell sat down with The A.V. Club before the band’s series of shows at Maxwell's on Thursday and Friday to talk about long layoffs, auditioning for record labels, and maybe, just maybe, starting to record that promised fourth album soon.